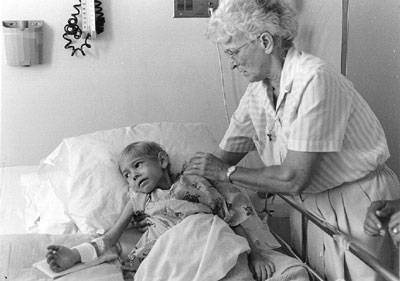 Last July, New York Press published “Orphans on Trial,” the story of the HIV-positive children of Incarnation Children’s Center (a Washington Heights Catholic orphanage overseen by Columbia Presbyterian Medical Center). The piece detailed how these children are being used in National Institutes for Health- and pharmaceutical-industry-sponsored clinical trials. The “orphans” at ICC aren’t always orphans; they often have a parent or family member who’d like to take care of them. The children are often removed from family custody because they fail or refuse to keep up their significant drug regimens. Once inside the walls of ICC, the drug regimen is enforced by a variety of means—cajoling, removal of privileges (like leaving the facility on weekends) and surgery. 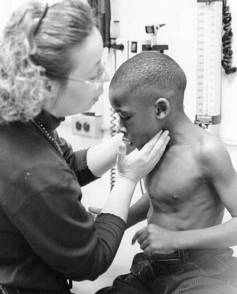 The children in the center who refuse on a continuous basis are drugged through nasal and gastric tubes. The G-tubes are surgically implanted. Drugs, fat and protein mixtures are pumped into the children’s abdomens by machine. ICC wasn’t always this way. It started in the mid 80s as a nurturing home for abandoned babies of drug-addicted mothers. But in the early 90s, ICC began receiving funds from the NIH to use its wards in human drug trials. To this day, ICC receives money from the state consistent with the number of children they have in their keep. 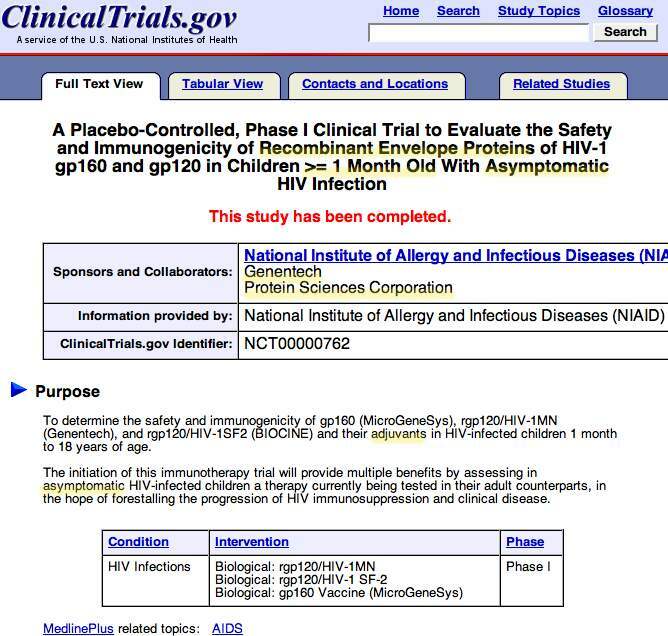 In 2002, the NIH connection was severed—at least publicly. 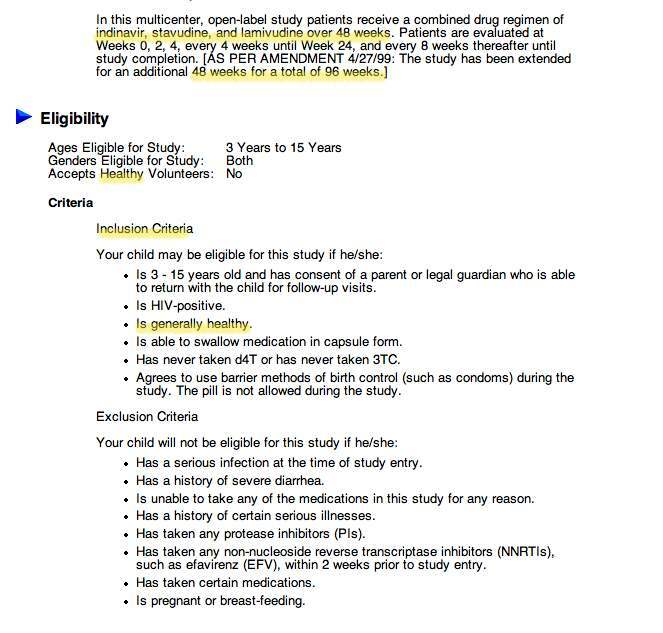 Children at ICC continue to be used in clinical trials at Columbia Presbyterian and neighboring New York hospitals, and ICC remains on the clinical-trials database as a test center for drugs and vaccines. The drugs used in the trials tend to bear FDA black-box labels, warning of fatalities caused by organ failure, bloody skin eruptions and blood-cell death, as well as developmental damage, cancer, wasting and heart disease. It’s an ugly reality made acceptable for one reason: The children test HIV positive. The significance of the term “HIV positive” is accepted as a given—a death sentence. But this concept, however heartfelt and popularly accepted, isn’t borne out in the CDC reports and medical literature. It becomes more troubling as many of the children approach and surpass their 20th birthdays as drug-addled, developmentally disabled, emotionally crippled survivors of a lifetime under lock and key. In late November, the BBC aired a documentary called “Guinea Pig Kids” based on the same research that featured many of the same witnesses. New York City Council Member Bill Perkins was filmed for the piece, and said that while it was known that children had died during the studies, the investigation wasn’t getting anywhere. The BBC received letters of shock and outrage. WBAI’s Democracy Now! interviewed the film’s producer. And at ICC and Columbia Presbyterian—nothing changed. Nevirapine had also been tested in the United States since the late 90s, at ICC and Columbia Presbyterian. It was used on the little boy Sean, whose story was featured in “Orphans on Trial.” Sean was given the drug at Beth Israel as a “miracle cure” for his HIV-positive status. He was kept on the drug for nine months, despite twice ending up on life-support due to organ failure. In December, the Alliance for Human Research Protection, a medical industry watchdog group, filed a press release criticizing the NIH for continuing to “defy rules of conduct and ethical research standards.” The NIH responded by ignoring the incident and firing the whistleblower, Dr. Fishbein. At present, there are nine studies “currently recruiting” with Nevirapine for use in women and children in India, Africa, South America and the United States. 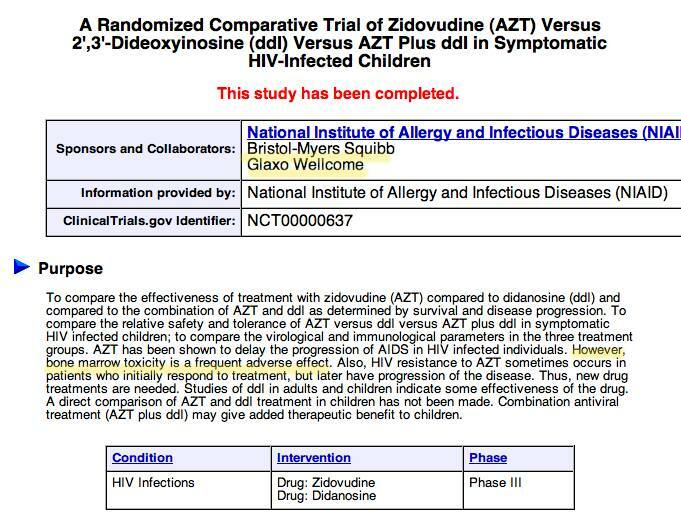 Currently there are 41 trials recruiting for HIV-positive infants, children and young adults in New York, with the same drugs and vaccines, in the same combinations—AZT, NNRTIs (the nevirapine type) and protease inhibitors—as reported last June. 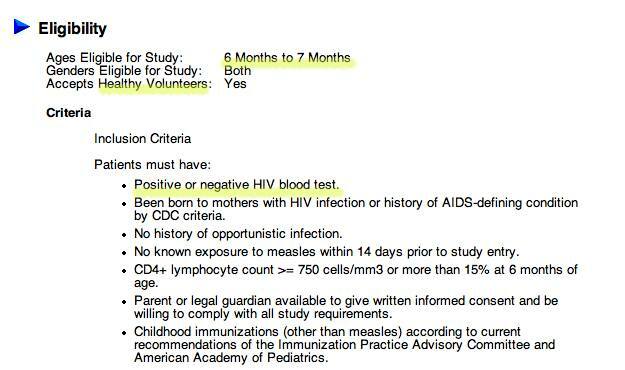 Fourteen of those studies are recruiting at Columbia Presbyterian, ICC’s parent hospital. The practice of forced drugging with tubes is also finding support across the country. 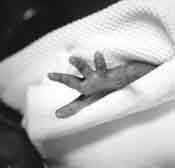 A June 2000 University of California San Diego/ Northwestern University study of HIV-positive children found that implanting an abdominal tube can reduce a child’s drugging time by five minutes. There’s no indication that the children in the study were sick, or that the drugs improved their health. The doctors noted that one “older child” had to quit gymnastics because the tube made it too difficult. But she can take drugs faster. And that’s what’s important. Isn’t it?